Jamie Thomson, from his website. 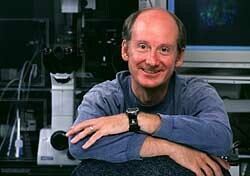 James “Jamie” Thomson, the reputed “Father of Stem Cell Research,” will be operating a research lab in Santa Barbara as an adjunct professor at UCSB. 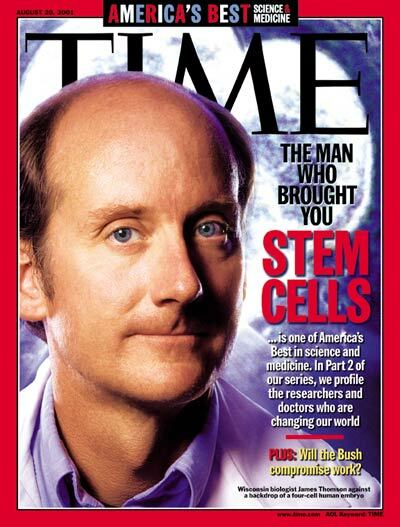 Thomson will be in Santa Barbara only part-time-he remains a tenured senior faculty member at the University of Wisconsin at Madison where, in 1998, he first isolated human embryonic stem cells. Even so, his appointment remains a huge score for UCSB. In the world of stem-cell research, Thomson is an unassuming superstar, a one-time veterinarian who won a MacArthur grant years ago. While UCSB has just been awarded $1.2 million in training grants for stem cell research by the California Institute for Regenerative Medicine, it has been a relatively minor player when compared to giants in the field like UC-San Francisco, Stanford, or UC-San Diego. Thomson’s arrival will go along way to changing UCSB’s profile in bio-technology. Campus officials suggest Thomson was impressed by the campus’s promise-and culture-of multi-disciplinary collaboration. In addition, anyone who’s experienced Wisconsin’s long and often bitterly cold winters might be sorely tempted by Santa Barbara’s comparatively balmy climate. Jamie Thomson on the cover of Time magazine. Despite the stiff price tag, nearly 60 percent of state voters approved the stem cell bond, won over in part by the promise of medical miracles and partly by the prospect of a bio-tech economic boom. While stem cell research remains very much in its infancy, the decision by California voters to put their money where their mouths were appears to be paying off. Already, 35 key research scientists from around the nation and globe have relocated to California since the bond measure was approved. It’s expected that Thomson’s arrival in Santa Barbara will only add to the campus’s allure as a mecca for scientific research.